Edgar Bennett III (born February 15, 1969) is an American football coach and former player who is the offensive coordinator for the Green Bay Packers of the National Football League (NFL). He was also a running back who played for the Green Bay Packers (1992–1996) and Chicago Bears (1998–1999). Bennett attended Robert E. Lee High School in Jacksonville, Florida and won varsity letters in football, basketball, and track. Influenced by football coach Corky Rogers, he was a Class 4A All-State running back, and was a SuperPrep All-Dixie selection. Bennett attended Florida State University. He lined up primarily at fullback in a backfield that included future NFL running backs Amp Lee, Marquette Smith, William Floyd, Zach Crockett and Sean Jackson. When Lee was suspended for the Cotton Bowl, Bennett started at halfback. Bennett is considered one of the most versatile fullbacks in FSU history. His career all-purpose yardage totaled more than 2,300 on 389 touches, good for 20 touchdowns. He was an all-around player who ran a 4.5 40 and caught 93 passes for over 1000 yards. Bennett was drafted in the 4th round (103rd overall) by the Packers in the 1992 NFL Draft. Bennett started his Packer career as a fullback, but he became the starting running back in 1995 and gained 1,067 yards rushing. As both a fullback and a running back, Bennett excelled as a receiver leading the Packers in receptions. He continued as the starting running back throughout the 1996 season, but in the latter half, Dorsey Levens was receiving significant playing time at running back. Bennett's career as a Packer culminated in their Super Bowl XXXI victory. He ruptured his Achilles tendon in the 1997 preseason and did not play that year. 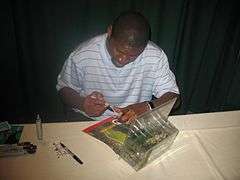 Bennett played with the Chicago Bears in 1998 and 1999 before retiring after the 1999 season. Bennett rejoined the Packer organization in 2001 as director of player development, then serving as the running backs coach for six seasons. In February 2011, Bennett was named wide receivers coach. In February, 2015, Packers head coach Mike McCarthy promoted Bennett to offensive coordinator.